Nethone has closed its first external round of financing raising over $1 million. The company, which uses artificial intelligence to detect fraud in online transactions, aims to expand its operations in new markets. Nethone’s solution is useful wherever there is a risk of fraud in online transactions. Its unique technology employs innovative methods of user profiling and machine learning, which enable automatic detection of suspicious users, as well as help entrepreneurs understand their clients better. Nethone operates globally and supports large entities from travel and e-commerce industries. Among their clients there are: the eSky group performing in nearly 30 countries, the largest Brazilian airline Azul and Polish Airlines LOT. Since the beginning of 2018, the company has been actively cooperating with the financial sector, including the ING Group. It also supports leading lending institutions. What is more, in April this year Nethone became a technological partner of the ERIF Economic Information Bureau. Nethone was established in 2016 by Daftcode – the largest Polish Venture Builder. The company has developed its technology also thanks to EU grant from the National Center for Research and Development, running projects worth more than PLN 20 million. 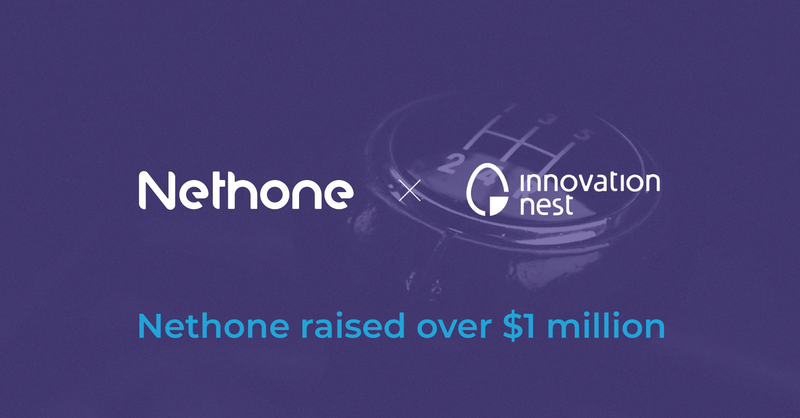 Innovation Nest is Nethone’s first outside investor. This Venture Capital is run by Piotr Wilam, the founder of Onet – one of the largest Polish web portals. Being one of the leading VC funds on the CEE market, Innovation Nest invests only in tech companies with the potential of global expansion. – The threat of fraud in e-transactions is a huge problem for companies selling online. Nethone shows that artificial intelligence is a great technology for providing cybersecurity. Not only does it prevent payment fraud with unprecedented efficiency, but it also gives insights for a better understanding of any online customer. Therefore, the Nethone Guard’s possible implementations are virtually unlimited – says Piotr Wilam, Founder and Managing Partner of Innovation Nest.– Nethone owes its success to the team, which combines distinctive business competencies with extraordinary and deep technological knowledge. However, we’ve chosen Nethone because of what it has built so far and how it constructs its long term strategy – continues Piotr Wilam. Nethone claims that they are ready for extensive sales expansion.– At the beginning of 2019 got into the Plug & Play, a prestigious accelerator in Silicon Valley. Furthermore, the constantly growing list of satisfied customers resulted in discussions with foreign partners and institutional investors. We are gaining momentum and the funds from Innovation Nest will certainly help us grow even faster – says Hubert Rachwalski, CEO of Nethone. Nethone is a global provider of KYU (Know Your User) solutions based on artificial intelligence which helps enterprises transform threats and challenges into accurate, profitable business decisions. Nethone's solutions allow companies to simultaneously protect themselves against losses and increase profits. Such solutions include i.e. top-class security against fraud, real-time tools for adaptive segmentation and customer retention, and behavioral analysis in banking systems to prevent account takeover. More information about the company can be found at nethone.com.